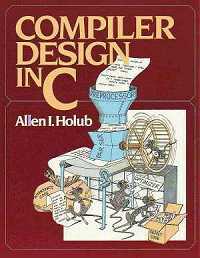 My book Compiler Design in C is now, unfortunately, out of print. You can download a complete copy, with the above button (pdf 19.1Mb OCR/Searchable—thanks to Marvin Hernández for adding the OCR). If you don't want to print it out (the book is 984 pages long), you can often find used copies on Amazon. You can also get the source code, but, bear in mind that this code hasn't been touched since dinosaurs ruled the earth, and it's all in plain-old C. It will undoubtedly require some massaging for any contemporary compiler to accept it, and I can't really help you with this process. There are also release notes.